If you did not find what you were looking for or would like to receive a printed copy please contact us. For technical support or any other issues please call 03-6337295 or contact our support. For price quotations, please call 077-5406075 or contact us. Mini-Circuits released over 400 models in 2018, and we continue to develop new products at a rapid clip. Our Q1 2019 product guide highlights some of the latest additions to our portfolio to keep you informed. Highlights include new hi-rel ceramic MMIC amplifiers, wideband MMIC gain slope equalizers, LTCC filters with rejection up to 45 dB, ultra-wideband coaxial couplers and splitters up to 40 and 50 GHz, and more! Test and measurement instrumentation has traditionally been one of the largest investments for companies producing RF products, and for good reason. The capability to test many devices quickly can greatly reduce overall production cost and time to market. However, developing a fast, efficient test setup needn’t require prohibitive expense. 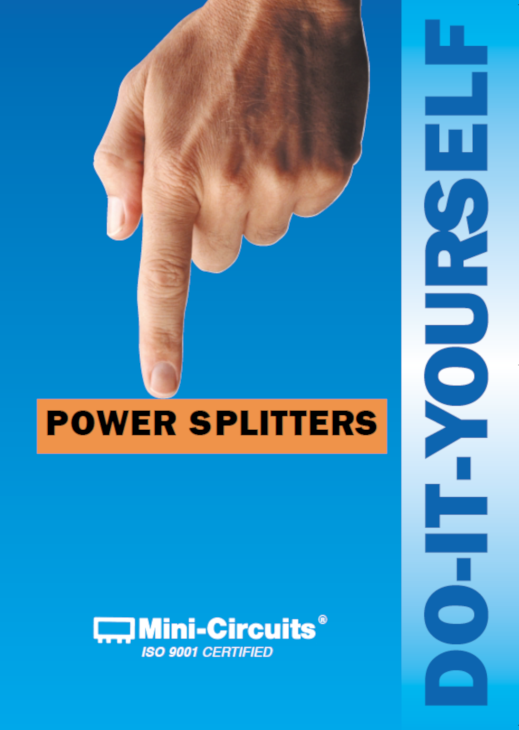 Mini-Circuits’ has innovated a line of products for these functions that are smaller, faster, easier to control, and much more affordable than other options typically available in the industry. 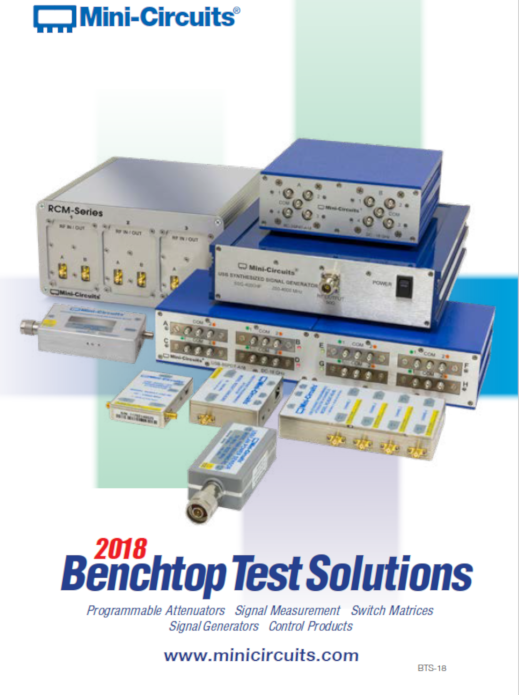 Our benchtop test and measurement modules offer the ease of control via USB or Ethernet and include programmable attenuators, power sensors, frequency counters, switch modules, signal generators and control products. Depending on the application, these units may be used as standalone solutions or easily integrated as building blocks to build scalable testing platforms customized to each user’s individual needs. This product guide gives you an overview of Mini-Circuits’ standard portfolio of benchtop test products. We hope this information gives you some ideas about how we can help you reduce cost and improve efficiency in your test lab. As consumer demand for higher data capacity continues to intensify, network operators deploying optical and hybrid-fiber-cable (HFC) infrastructure continue to push the limits of their equipment under the DOCSIS® 3.1 standard. Mini-Circuits is deeply committed to supporting equipment manufacturers in the CATV/broadband market as the standards and technology continue to evolve. Many of our components have been designed in to DOCSIS 3.1 applications from head-end infrastructure to customer-premises equipment, and we’ve gained extensive experience working with customers at the engineering level to achieve design success. In the process, we’ve expanded our portfolio of off-the-shelf parts with a wide variety of new models developed especially to support the evolving needs of the broadband market. 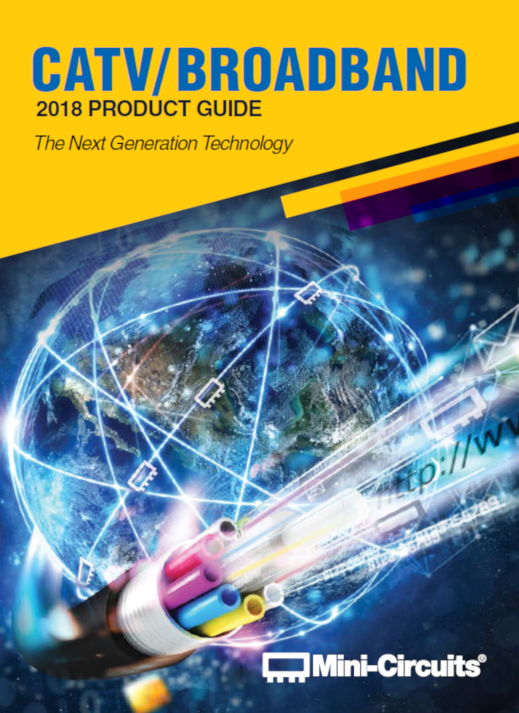 Our CATV/Broadband 2018 product guide provides information on a wide range of components from passive devices including transformers, couplers, and splitter/combiners to active elements including amplifiers, equalizers and more – all designed and carefully specified to meet DOCSIS 3.1 standards. We hope this material gives you a convenient reference to make an informed decision as you evaluate parts for your design! Rapid growth in the number and variety of wireless applications and connected devices in the market has driven the need for more innovative, and highly customized test solutions. Customers are looking for equipment to multiplex application-specific test systems across multiple DUTs, which requires signal routing, distribution and conditioning functions in a variety of configurations. 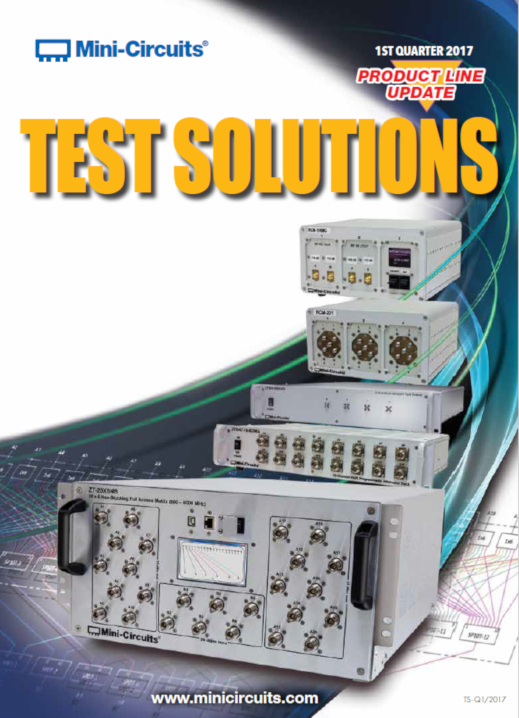 This 2017 Test Solutions Product Guide showcases some of our newest, most advanced, and most popular test systems developed to date. We hope this information gives you some ideas about how Mini-Circuits can help improve efficiency and save cost for your test setup. With over 200 different MMIC models covering frequencies from DC to 40 GHz, chances are, Mini-Circuits has your application covered. 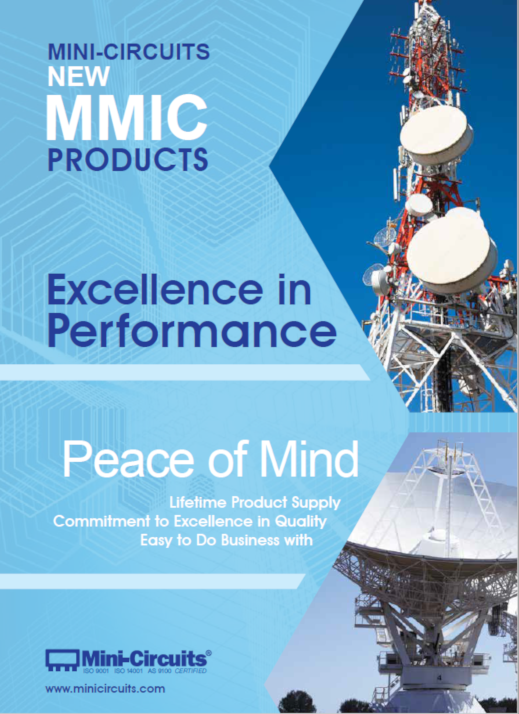 Our MMIC product portfolio offers a wide variety of models to meet your needs including amplifiers, mixers, multipliers, attenuators, transformers, splitter/combiners and more. 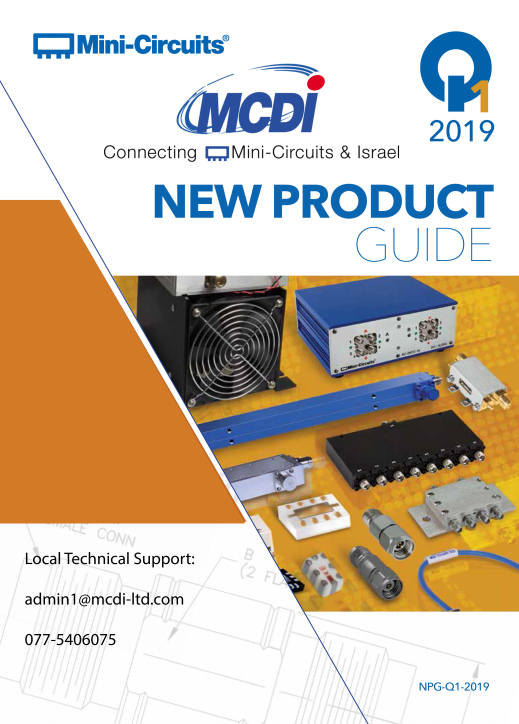 This 24 page product line overview provides a complete overview of Mini-Circuits in-house design capabilities as well as highlights of our latest MMIC products. It also covers some of the key differences in design approach between Mini-Circuits’ MMIC products and typical products on the market, including details on semiconductor materials, circuit architectures, qualification processes, advanced packaging technology and other informative content. Mini-Circuits’ line of custom test solutions has expanded with an even wider lineup of capabilities to meet your needs. 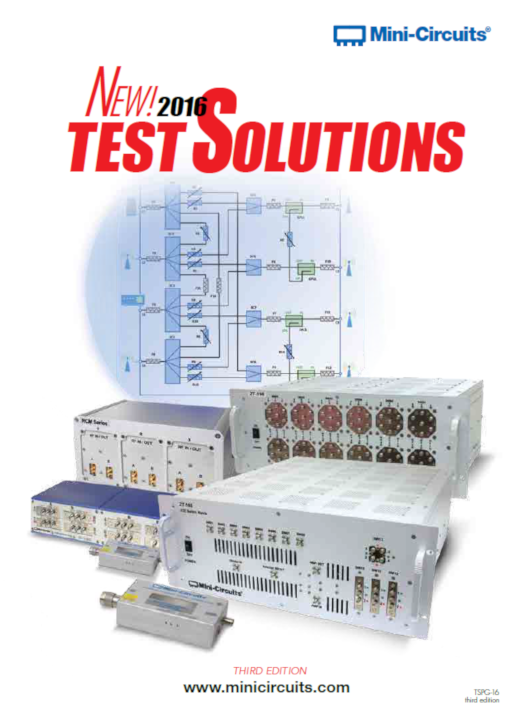 The 3rd edition of our Test Solutions Product Guide is a 52 page complement to the 2nd edition featuring a selection of the new models we’ve developed in 2016 with additional details on applications, companion products and more. Highlights include a new series of compact modular test systems, N-port mesh network modules, 2 x N port switch matrices, and more! Bottom line, we’re continuously developing more solutions and growing our portfolio to meet your needs. We hope this new product guide gives you even more ideas about how Mini-Circuits can add value to your test setup. As consumer demand for higher data capacity continues to intensify, network operators deploying optical and hybrid fiber-coaxial (HFC) infrastructure continue to push the limits of their equipment to operate under the new, DOCSIS 3.1 standard. Competition at the operator level is driving rapid qualification and development of new equipment, with testing and certification for deployment expected to expand in the very near term. To meet the new standard and accelerate time to market, program managers, system designers and purchasing managers in the broadband space need components with tightly specified performance and high reliability with value pricing and fast delivery. 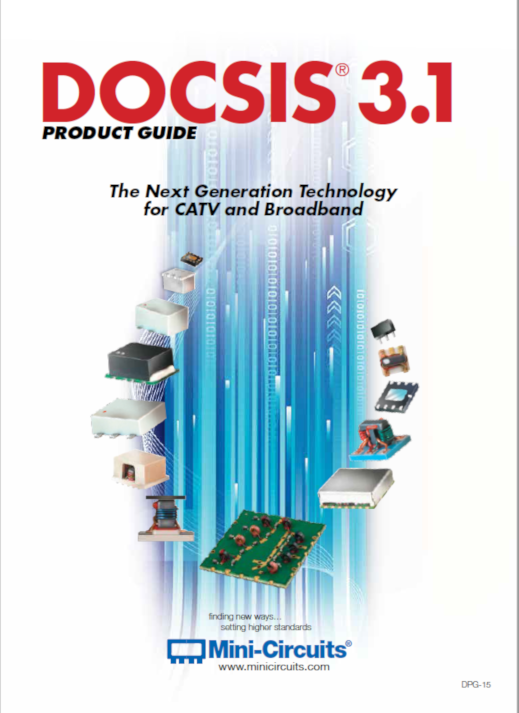 Mini-Circuits is very pleased to present our product offering for the next generation of CATV and Broadband applications in our new DOCSIS 3.1 Product Guide. 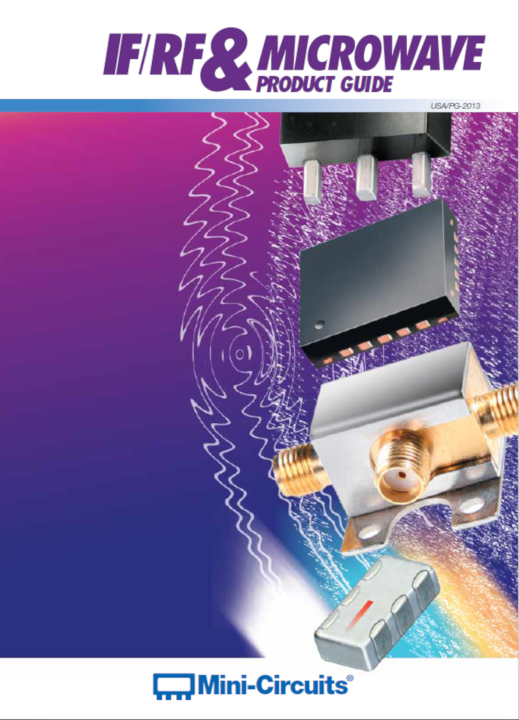 Inside you’ll find detailed information on a wide range of RF components from passive devices including transformers, couplers, and splitter/combiners to active elements including amplifiers, equalizers and more – all designed and carefully specified to meet DOCSIS 3.1 standards. We hope this material gives you a convenient reference to make an informed decision as you evaluate parts for your design. Mini-Circuits is pleased to release our SATCOM Product Guide featuring a full survey of components and assemblies for satellite and earth station systems. With selected models from over 20 different product types to 40 GHz, this guide provides key performance parameters for each product and serves as a handy reference for engineers in the satellite communications field evaluating parts for their design needs. 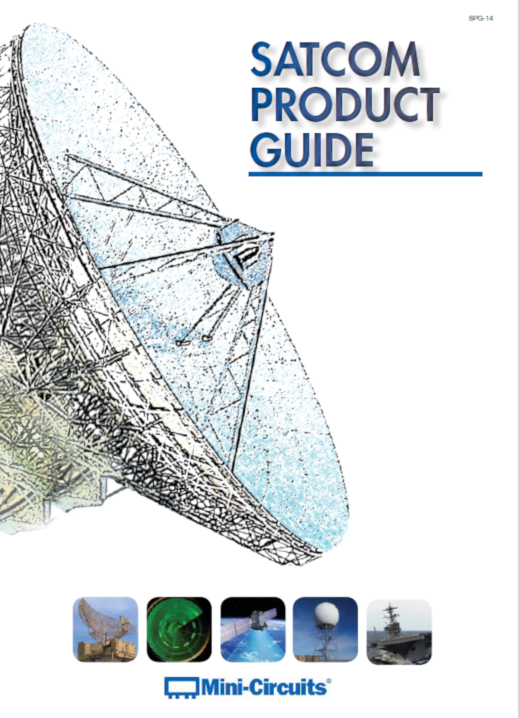 More than just discrete components, the SATCOM Product Guide also features several integrated modules showcasing some of our custom design capabilities supporting satellite IF band applications. 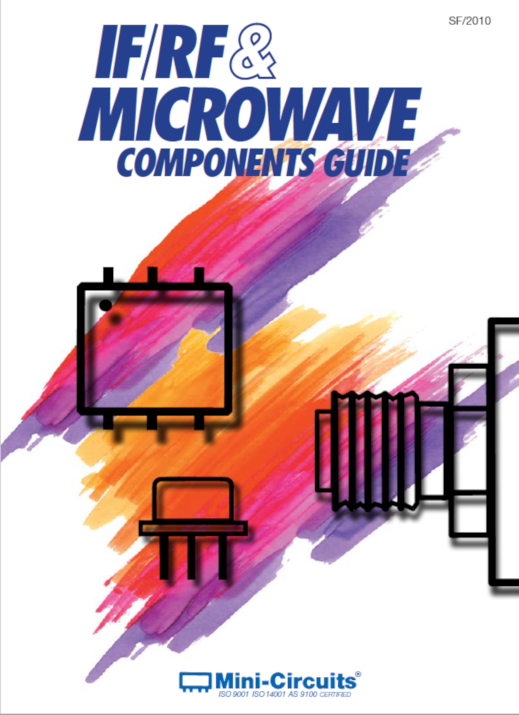 Mini-Circuits’ 24-page IF/RF & Microwave Product Guide provides details on 18 hot new products plus established and custom offerings. Innovative new products include the 10-MHz to 6-GHz CMA high-IP3 MMIC amps, 100W SYBD 400-MHz to 6-GHz bi-directional couplers with directivity up to 35 dB, and 15 more exciting new products including cables, switches, limiters, transformers, and mixers. The guide also features custom products that meet unique application requirements. Custom designs range from 300W rack-mount base station combiners to three-way active GPS splitters. Additionally, there is valuable information about the money-saving and quality-leading Mini Circuits Partner Program. This plan provides economic rewards for consecutive, annual, and lifetime volume purchases. 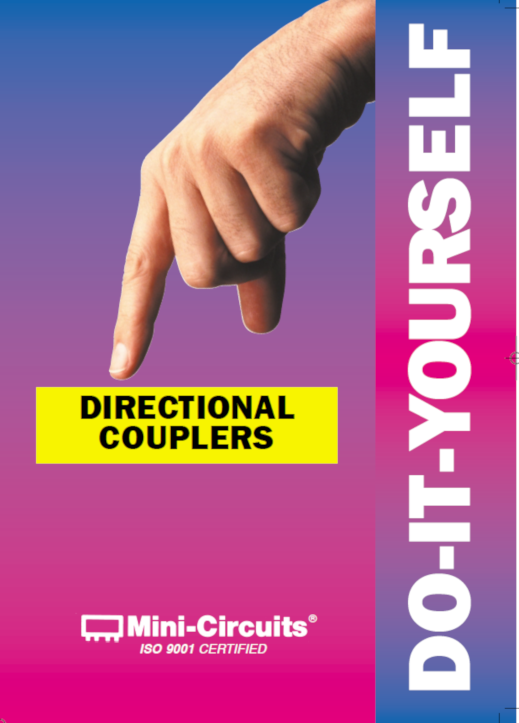 The guide is available online at www.minicircuits.com/support/literature.html. Our website features 27 product lines offering over 5,000 off-the-shelf and ready-to-ship products. Using Mini Circuits’ patented, high-performance YONI search engine enables engineers and designers to quickly find the products that meet their needs. Mini-Circuits new 164 page catalog includes over 750 new products and is the industry’s most comprehensive listing of RF/IF and microwave components and subsystems with more than 4100 products and over 25 Product Lines including state-of-the-art amplifiers, mixers, VCOs, synthesizers, filters, test accessories and USB Power Sensors; also a new section on Custom Integrated RF/Microwave Assemblies and our Partner Program rewards plan. Mini-Circuits’ web site provides additional data, applications notes, design tools and our powerful YONI search engine which searches actual test data on over thousands of units. 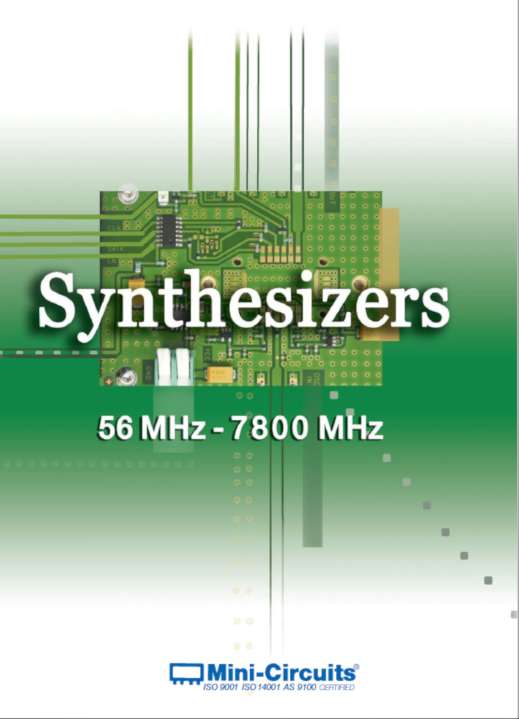 Let the Mini-Circuits design team create a custom frequency synthesizer tailored to your requirements. We will review your requirements and, following technical discussions between your engineers and Mini-Circuits designers, we will work closely with you to create final specifications that meet or exceed your requirements. To ensure high yields, we will factor in component tolerances and even variations in manufacturing processes. You will have full access to performance data from sample units, and can even evaluate sample units in your system to ensure that final production units fulfill your performance requirements.